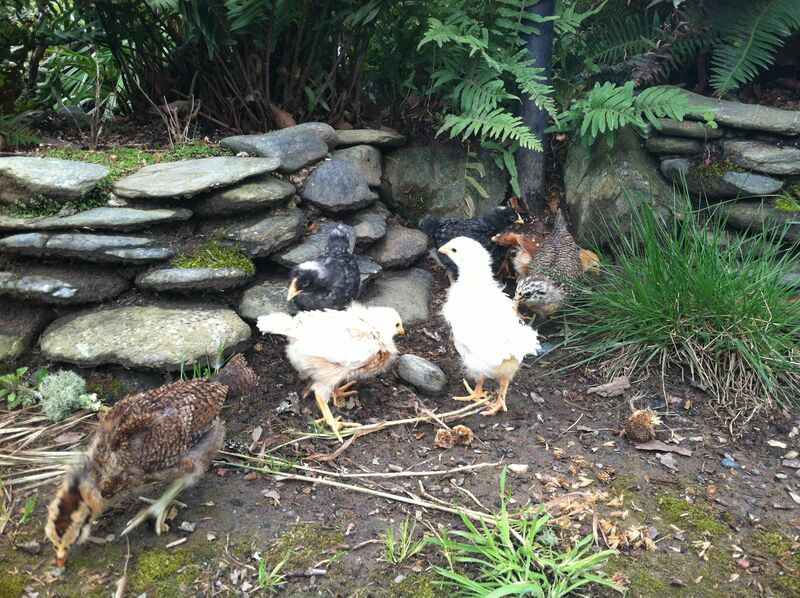 When we moved to Sonoma county I really hoped that somehow we would be able to have chickens again. Even though they ate most of my ground vegetables and pounds of tomatoes I still loved watching them scratch the ground for bugs and fight over a pile of greens. Thankfully, we were lucky enough to move next door to two wonderful families who have been such a blessing the last couple months. As we got to know each other we all kept talking about chickens and how we all wanted to try them. So we have decided to do it together. 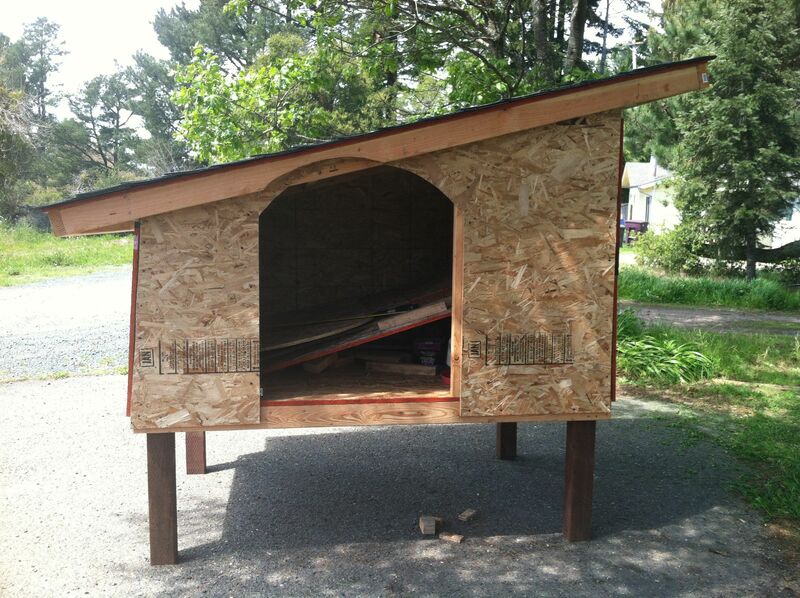 One Sunday a few weeks ago we all got together and began building this wonderful coop that our neighbor Nick designed. When finished, it should house all eight chickens comfortably with a small yard for foraging, nesting boxes for eggs and super secure doors with locks so our babes will be safe from the many raccoons and foxes that hunt the orchard at night. It’s a palace compared to my previous chicken shanty. 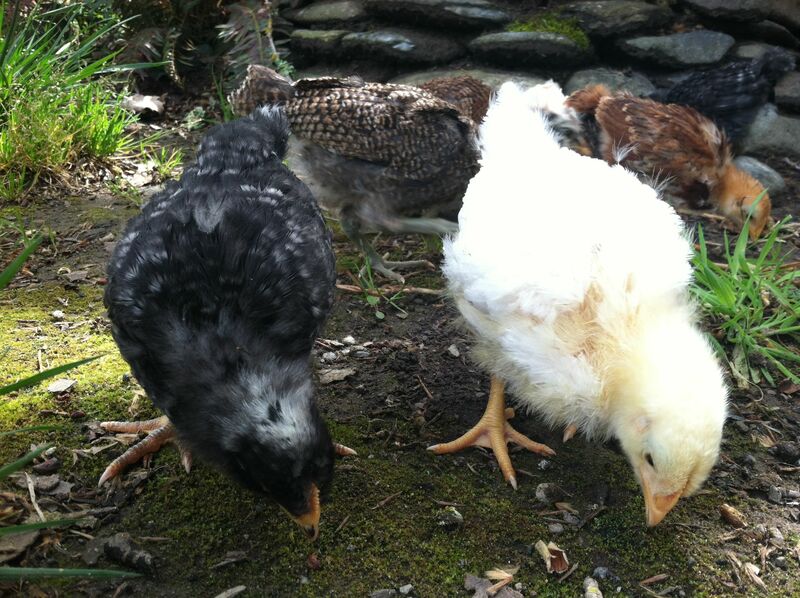 They are a little over a month old now and in a few weeks they will be big enough to go in their new coop! I know my pictures are awful! Those chicks were far too fast for my iphone camera. We are still down a computer and I am currently borrowing by dear friend Tina’s extra macbook until we can get a new one. We have been slammed with a few unexpected financial messes the last couple months that have really put a damper on our new computer and camera plans. We are staying positive, trying not to lose perspective, and praying for a bright future ahead of us this year. OH my goodness!!! I was just reading (longingly) this afternoon about chickens, coops, runs, etc., etc. And here you are with chickens now!! And in the best part of CA on top of it. Mmmmmm…. Hi Tanya! Just you wait! I have some great news coming up very soon! 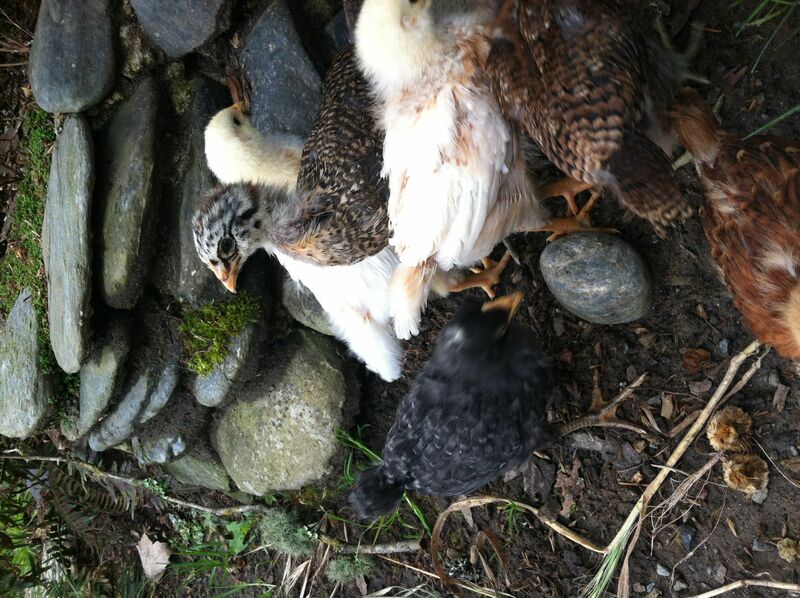 Your pictures look great – I love all the different colors on the chickens, really beautiful.